Box Gutters, the cornice work, and trim below add important historical and architectural value to homes and buildings. They also add to the buildings maintenance. Being pro active towards your roof and box gutters will ensure they remain a valuable asset to your home or building rather than a major expense later down the road. 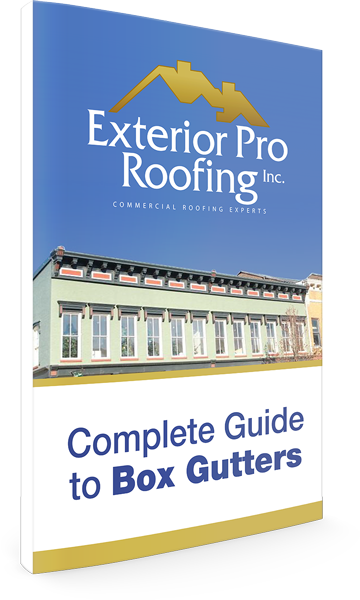 Here are 5 signs that your box gutters may be leaking. In many cases the trims underneath box gutters are made of several pieces of decorative wood trim. Leaking boxgutters will generally cause wood trims to loose their paint but not always. or even more expensive that the box gutter repair. Keep and eye on your wood work. Leaking box gutters can allow water to enter the top of the masonry wall and can cause the wall to become wet and saturated with moisture. On buildings with painted brick, the paint will begin to peel off the wet masonry. The peeling paint will slow or stop all together the farther down the wall you inspect if moisture is cause the paint failure. The wall will be less wet the farther the distance away from the box gutter and source of the leak. 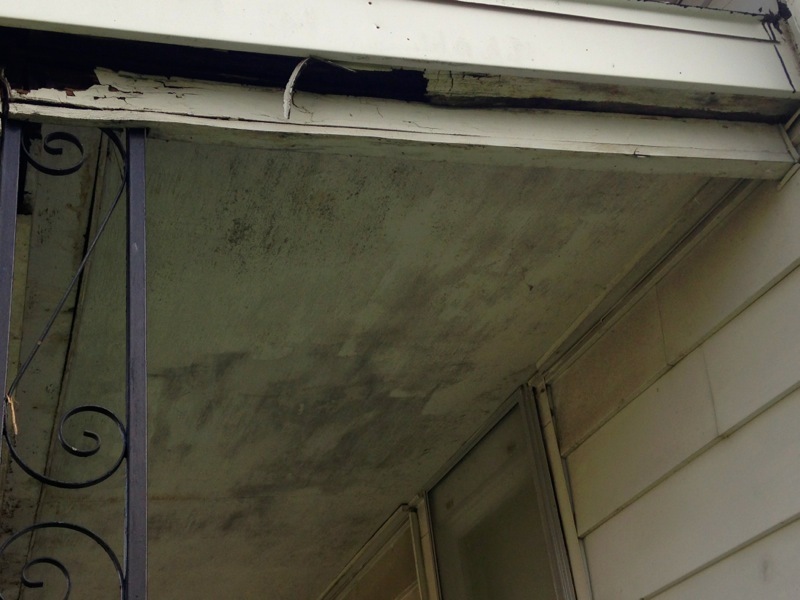 This is how you can distinguish a failing paint job versus a leaking box gutter. Unpainted Buildings with exposed masonry walls will show signs of deteriorated mortar close to the source of the leak. The old mortar wicks up moisture in the wall and becomes soft overtime. Rain, wind and gravity will take their toll on the soft, moist brick joint and you will notice how it recess over time. Persistently leaky box gutters that cause the brick to stay wet and saturated for extended periods can lead to the brick spalling. The is the terms that refers to the face of brick falling off or crumbing away. Moisture in the brick goes through the freeze - thaw cycles of winter and the freezing moisture expands busting the face of the brick off. Depending on where the box gutter is leaking, the moisture problem may appear on the inside of the exterior wall located under the box gutter. 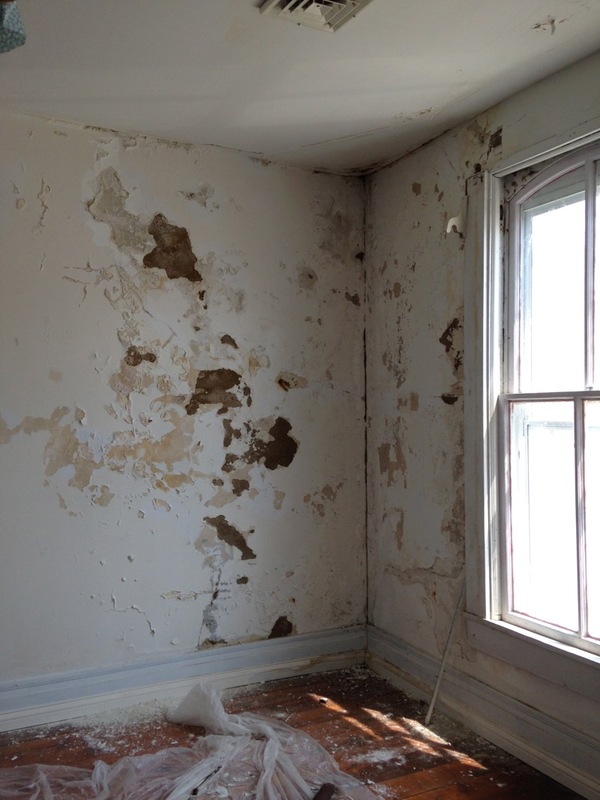 Wet interior walls may grow mold, be wet and humid to the touch, sweat, or even have the plaster begin to crumble and fall off wall. In sever cases, even the wood strips behind the plaster or lathe as they are called will decay and rot. Repairing old horse hair or hog hair plaster with modern drywall products and be difficult and the repair may never match the rest the walls. In many historic homes or buildings the rafters and second story floor joist rest in a “pocket” in exterior masonry wall. The rafters and joist are supported by being set into the brick wall usually several brick thick. Long term box gutter leaks into the brick wall can cause the end of the rafter or floor joist to rot and sag under the weight of the roof or floor. Not only are these types of structural repairs expensive, they are very invasive and disruptive. 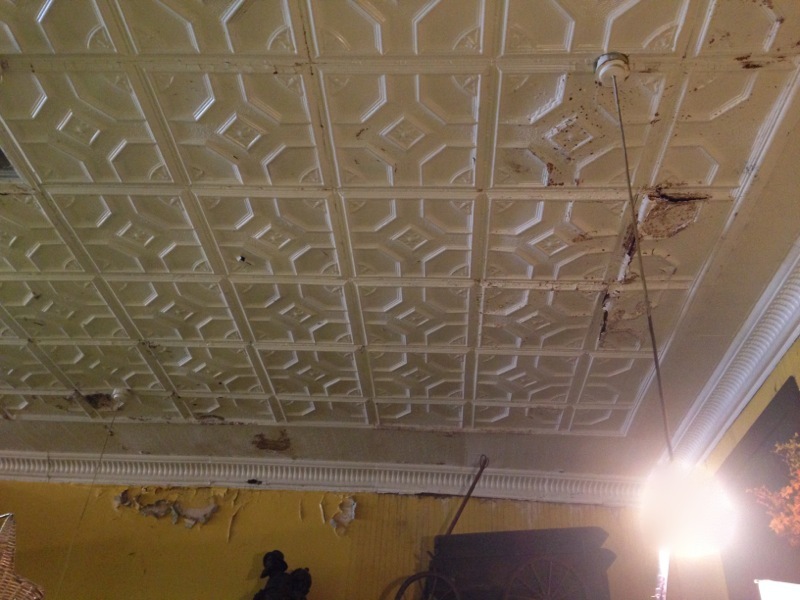 Yellow stains on the ceiling near or in the corner underneath box gutter are aways suspect. 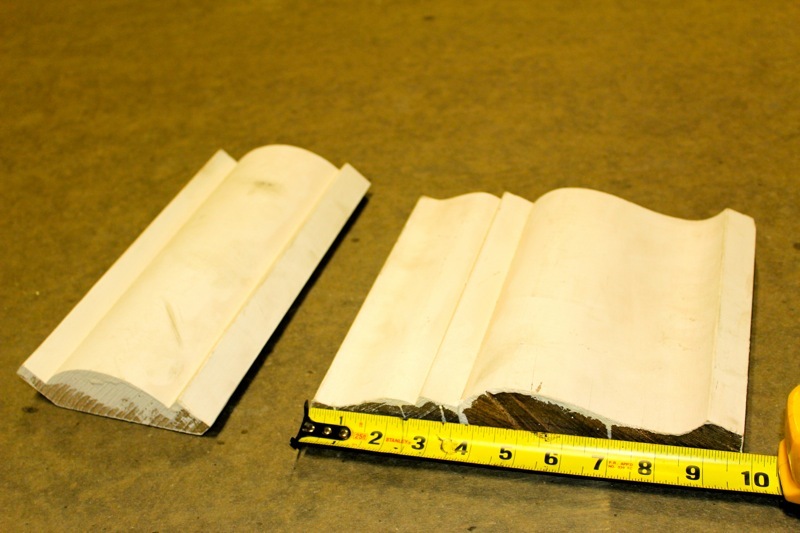 Stains farther into the room are more than likely a roof leak rather than a box gutter leak.